Plate Thermo–Shakers are designed for shaking and thermostating 4 standard 96–well microplates. 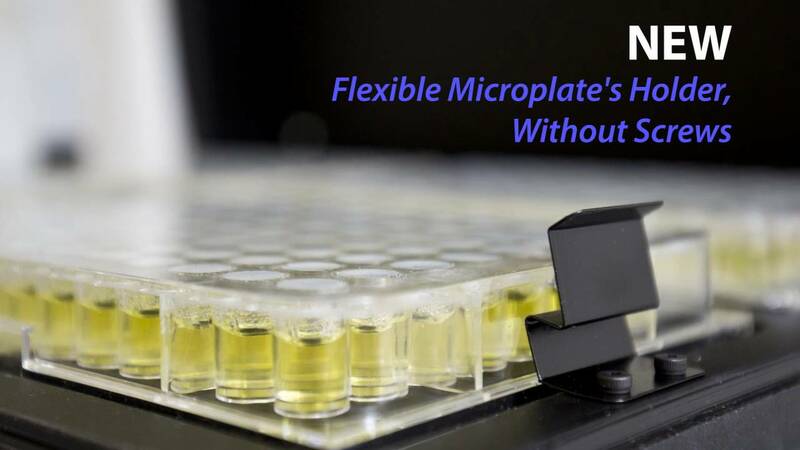 A distinctive feature of Biosan Plate Thermo–Shakers is the patented by the company Two–Side Microplates Heating, which allows to achieve full correspondence of the set and actual temperature in the microplate wells. Thermo-shaker provides heating up to 60°C, which is sufficient for carrying out ELISA tests. With the help of the temperature calibration function the user can calibrate the unit approx. ±6% of the selected temperature to compensate differences in the thermal behaviour of plates from different manufacturers. Is it possible to turn off shaking and use heating only? Yes, it is possible. It is a 3 in 1 instrument, it can be used as a Thermo-shaker, a Shaker and a Thermostat. To turn off shaking press corresponding buttons ▼ ▲ RPM and set the desired speed or turn off shaking by setting the value "000" on the display.